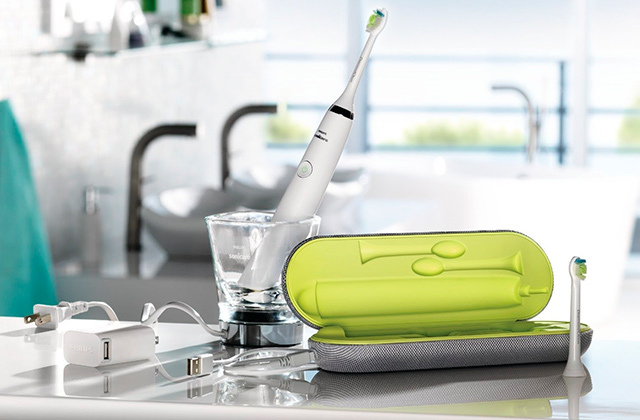 Improve your gum health up to 100% better than a manual toothbrush with the Philips Sonicare 3 Series gum health rechargeable electric toothbrush. The ergonomic, easy-to-grip handle has three settings for greater comfort. 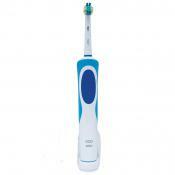 The brush head features a cup-shaped profile to deliver a gentle and even clean for your teeth and gums. Blue reminder bristles signal when it’s time to replace the brush head, and the snap-on design makes it easy to switch it out. The Quadpacer and Smartimer features assure you brush adequately and evenly, and a two-color battery charge indicator lets you know when it’s time to recharge the battery. 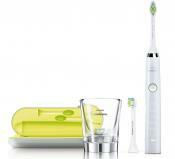 This kit includes 1 Philips Sonicare rechargeable toothbrush, 1 ProResults gum health brush head, 1 charger, and 1 travel case. 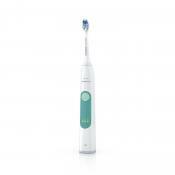 The round rotating brush cleans along the gums better. 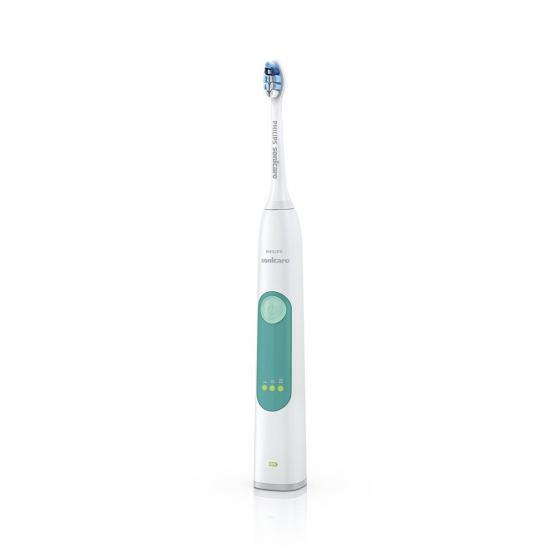 Cleans my teeth really well, quickly, easy to rotate around the mouth. 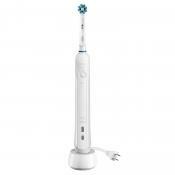 Rotation oh head cleans better than any other toothbrush I have ever used. 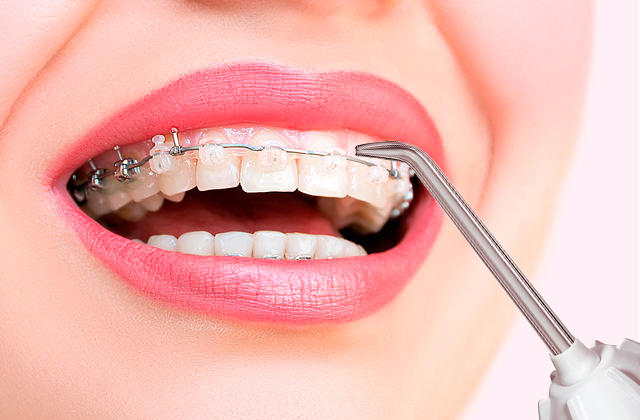 Just like going to the dentist. The head speed seems to be about three times what the old one was. My teeth feel even cleaner now than before, which doesn't seem possible. It doesn't seem to have as much power as the higher priced model we own, and it doesn't have two speeds, but it seems to clean pretty well, and it's operating fine. 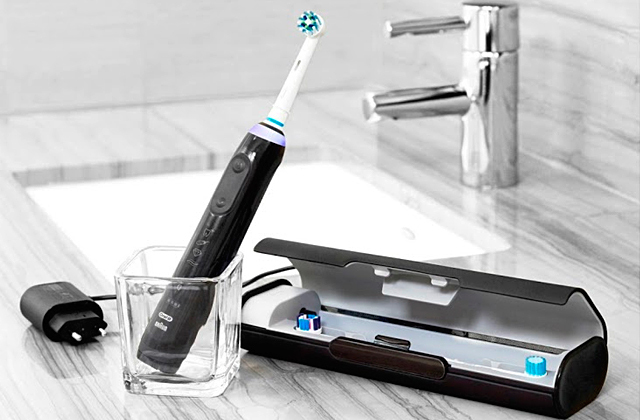 Having a Philips sonic toothbrush is like having a dental hygienist in your pocket. This toothbrush works great! I've had a sonic care in the past and this a good replacement. It has 3 speeds the series 2 doesn't have-and not as expensive as the higher end model but does a great job. 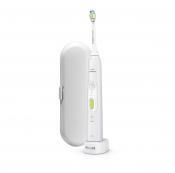 Recharges quickly and speed of brush action exceeds anything manual. Speeds are fine and brushes seem to last a pretty fair amount of time. Love this toothbrush! 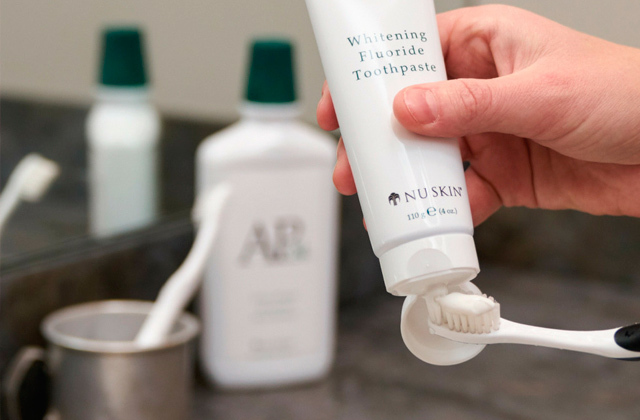 It is just the right size and cleanse my teeth perfectly for an all day clean! The size of this toothbrush suits me well because I have a fairly small mouth. It is slim and fits nicely on my bathroom counter. The size is perfect for my hand and mouth. Such a deal for the price. Super happy with my new toothbrush. Does the job,light weight to hold,perfect! More power and lighter in weight. Toothbrush is a good size- not to big not too small. I had a full sized Sonicare toothbrush for years and thought highly of it. I like the smaller brush head on this Sonicare even more. Light weight and far more effective than the older one. 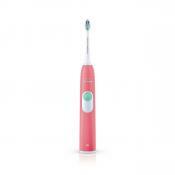 After using Sonicate for years, this model is much lighter weight and tips over easily. The timer is good even though I don't usually pay any attention to it. Powerful with just the right amount of power. 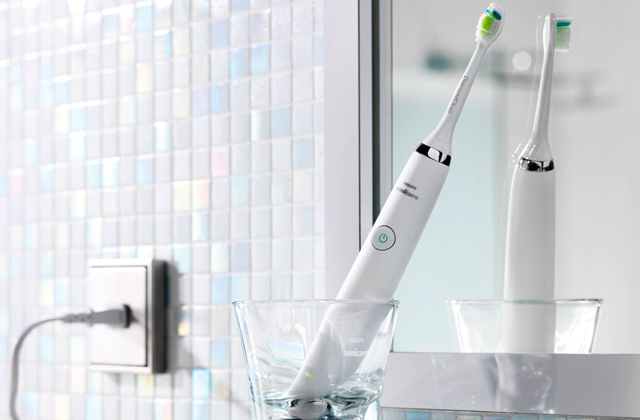 The toothbrush has a 30 second timer to make sure one spends the right amount of time per quadrant. The built-in timer is also nice to let you know when you've brushed long enough. I also like that fact that it has light indicators to let you know if it needs charging; even when it does blink red, there is no sign that it is getting weak which is a plus. Functions as it should. 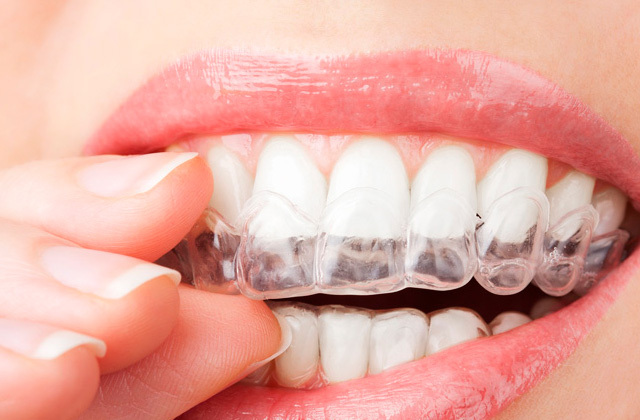 It does the job of cleaning you teeth with little effort and the vibration timing helps you complete the cleaning. The charging indicator is a bit larger and pulses while charging so I had to turn the toothbrush around so it doesn't pulse the light into my room. I would buy this toothbrush again. 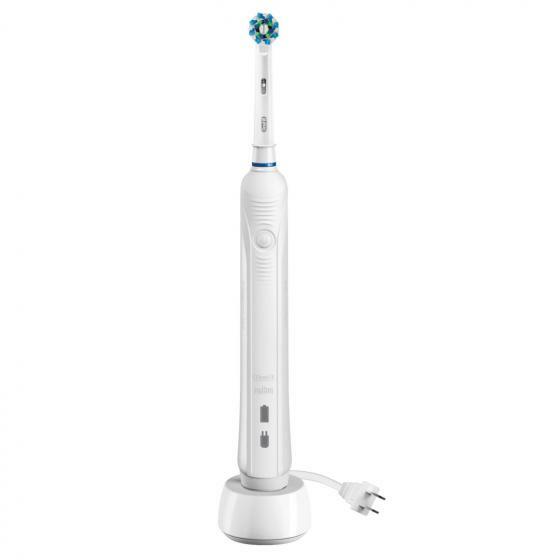 This was a great toothbrush for the price my only complaint is the vibration is loud. Great product, helps the gums and really cleans, especially like the timer beep. This toothbrush is excellent! 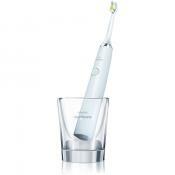 It leaves teeth feeling squeaky clean and the included timer is great to guarantee proper cleaning. I love that it makes a noise to indicate when you should switch to another part of your mouth. 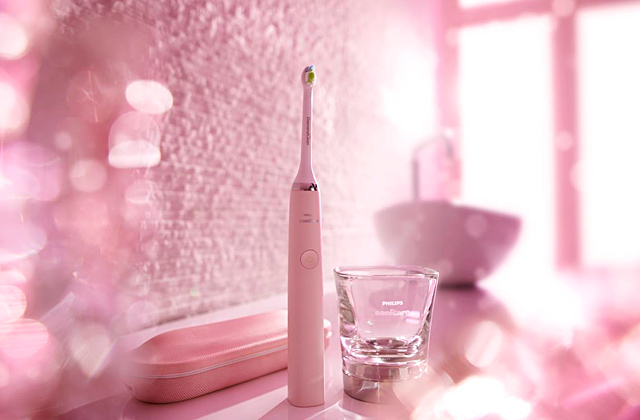 The timer ensures that you spend enough time brushing. Simple, good charge indication, nice grip, easy to handle. Has worked great. Holds a charge for about a week. My wife picked this out and loves the longevity of the charge. I like the small footprint of this charging station. 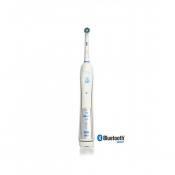 I love oral-B Rechargeable toothbrushes. That is all I have used for several years. Best of all is the waterproof design of the recharging mechanism that has no exposed contacts. It cleans extremely well and holds a charge for a long time. Great - no issues it charges well and maintains the charge. This is a smaller and lighter design...easier to travel with and has held a single charge for over 3 weeks. Battery charge holds for a long time and charges fast when depleted. 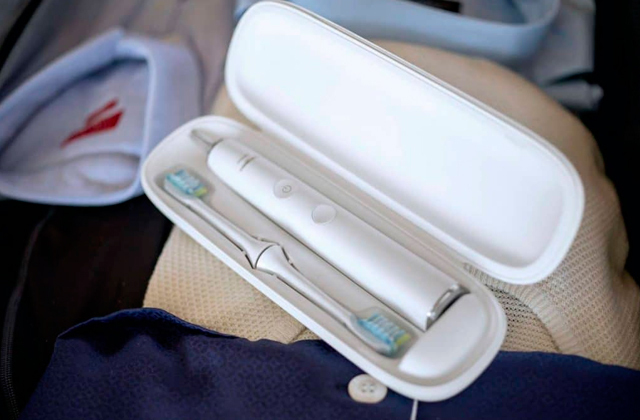 I love the reminders while brushing, the small size of the charging station, and how well the toothbrush holds a charge - we can easily go away for a long weekend and both of our toothbrushes have sufficient charge to last the entire trip.